natural materials and rustic touches, including the use of hardwood floors, plaster walls, timbers, and stacked stone to add to its overall appeal. SOLD! 75 Crestview Lane – Big panoramic views of Bridger Mountains, Jackson Creek, and Bozeman Pass from this Frank Lloyd Wright inspired, prairie style 3 bedroom home. 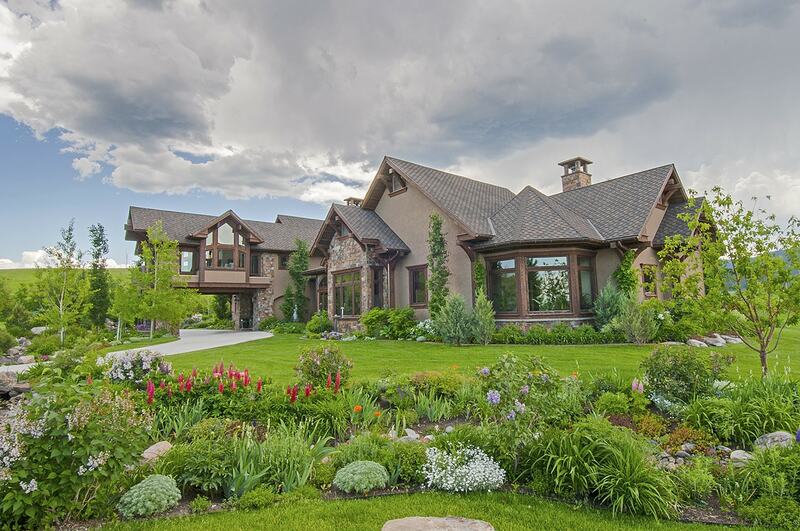 Designed by renown architect Thomas Bitnar, the home was a 2008 Parade of Homes. Open floor plan with central “Tower” to upper floor office, soaring ceilings, views from every room, wood burning fireplace, main floor Master suite, gourmet kitchen with walk-in pantry, granite counters, 5-burner Thermador range, 2 Junior Suites, library-den, greenhouse, wildlife galore. SOLD! 390 Hayrake Lane – Desirable Southside Manor home, impeccably maintained. 5 bedroom suites, Great Room with cedar flooring, circular floor plan with gourmet kitchen, breakfast room with fireplace, and dining room. Timber framed with 26′ living room vaulted ceiling, river rock wood-burning fireplace, the Valley’s biggest views. Outside entertaining and dining, Main floor Master Suite with fireplace and private patio with hot tub. Home office, large family-media room with wet bar, guest suite. 4-Stall barn with jack leg fences. The Platinum Team’s core belief is that YOU—the Buyer or the Seller in a real estate transaction—deserve the highest degree of honesty and integrity from your agent. Need your house listed? Call us today!